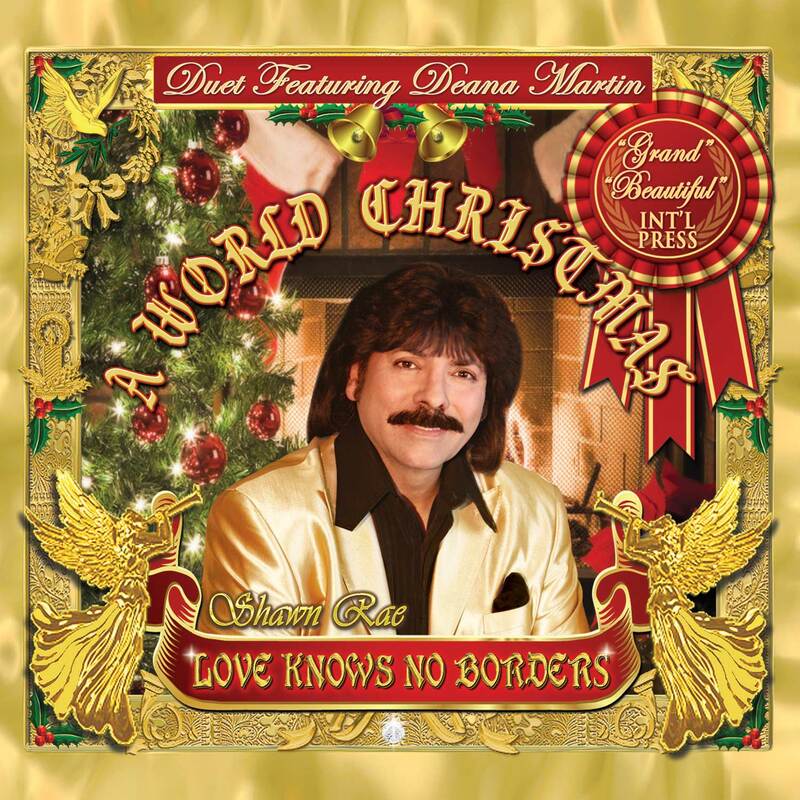 "Baby It's Cold Outside" a duet featuring Deana Martin has been added to the American debut of "A World Christmas, Love Knows No Borders"
"How can a song that helped turn a founder of Al Qaeda against the West instead encourage understanding between Christians and Muslims?" The duet between Deana Martin, a Christian and Shawn Rae, a Muslim from Pakistan is ironic. Most Americans would be surprised to know that the new release by Shawn Rae of the popular song, "Baby It’s Cold Outside", was mentioned by a founding father of the Muslim Brotherhood as an example of Western corruption and degradation. The song, “Baby It's Cold Outside”, won an Academy Award for "Best Song" in 1949; it’s an American favorite to this day. It was mentioned in "The America I Have Seen", a book written in 1951 by Sayyid Qutb. The Egyptian, Qutb, visited the U.S. to learn about the education system and became disgusted with the United States which he considered corrupt and obsessed with individual freedoms, materialism and violence. In Lawrence Wright's "The Looming Tower", Wright records how this song helped form the anti-American feelings of Qutb. When he returned home to Egypt he had become extremely radicalized by his visit. Qutb is considered to have influenced present day radical Islamists, such as Osama bin Laden and Ayman al-Zawahiri . Ultimately, he was executed in 1966 by the Egyptian (Muslim) government. So now, the Arab Spring has emerged. Most do not understand, because of the misconception that all Muslims are radical extremists, that the majority of Muslims are peaceful people. The Arab Spring’s focus has been largely about getting rid of tyrannical Muslim regimes inside the Arab world and not, as Osama bin Laden and radical Islamists believe, a condemnation of America and Western societies. The youth in Egypt have shown a desire to be active participants in today’s modern world, as modern Muslims. Now the question is; "How can a song that helped turn a founder of Al Qaeda against the West instead encourage understanding between Christians and Muslims?" The singing of the duet, "Baby It's Cold Outside", between Deana Martin, a Christian and Shawn Rae, a Muslim from Pakistan is ironic. Even though the song was singled out by one of the founders of the Muslim Brotherhood of Egypt as an example of American decadence, still the Christian American producers overlooked the anti-American sentiments of Sayyid Qutb and radical Islamists like Osama bin Laden and still chose Shawn’s voice amongst a possible field of many famous American and European artists (Deana’s last duet was with the legendary Andy Williams a few years ago) without concern for Shawn’s Muslim background. Thus, demonstrating the generally magnanimous and generous nature of most Americans and Western Society (making an effort by most to judge others by what’s on their minds and hearts rather than by religion, race, caste, creed, color, gender, orientation or origin; an example being the sheer number of Muslim mosques that have been built in America and the western world as opposed to the number of new churches allowed to be built in the Muslim world). The Song is presently contributing as a positive step towards better Christian & Muslim (East/West) understanding. 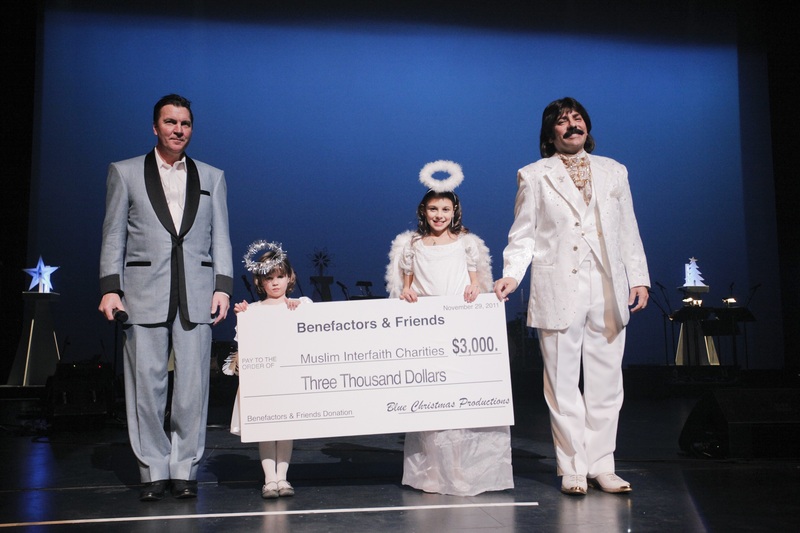 The song’s history and this unique duet between Shawn Rae and renowned singer and actress, Deana Martin (daughter of American musical Icon, Dean Martin) brings attention to the Muslim world to search for answers within itself regarding the differences between radical Islamists, moderate Muslims and new age Islam. It also inspires awareness for Christians, Jews and the West to realize that there are moderate Muslim forces and individuals that respect and understand Western values, the opposite of those radical Islamists who have thus far misinterpreted, misperceived and misunderstood what the concepts of individualism and secular societies in the West truly mean. Shawn Rae was born and raised in Pakistan until the age of 18 years and has lived in the United States for over three decades, over twenty-five of which as an American citizen. He has a B.S. in Public Administration with an emphasis in Political Science and Economics and an international Law Degree (L.L.B.). Shawn believes in ONENESS between all religions and people. There are many Muslims like him who have assimilated into the U.S. and the West as responsible, hardworking, loyal and patriotic citizens. Shawn Rae’s humanitarian efforts include working with Christians, Jews and people of other faiths to find commonalities between religions to promote interfaith harmony. Shawn has represented the United States at various national and international events, and has been featured in the media on topics dealing with corporate giving, human rights abuses, better East/West understanding, and matters relating to world trade as well as technology-related issues affecting mankind. The song, "Baby It's Cold Outside" by Shawn Rae & Deana Martin is a new remake of the original song. It is arranged by the legendary American arranger, Charles Calello who has this to say about Shawn: “Charismatic, bright, innovative, courageous and certainly in a class by himself... having rich lustrous and euphonious qualities, incredible range and depth, giving the songs that Shawn chooses a sensual and romantic quality... Shawn has the ability to paint a vocal picture that imparts a story in the listener’s mind rather than just a song – distinctive, yet, reminiscent of other greats.” The song is produced by acclaimed American producer, Dan Jordan, who has worked with a myriad of acts, from Ray Charles, Dolly Parton to Jerry Lee Lewis, among many, many others. “Baby It’s Cold Outside” new release has been added to the list of songs on Shawn Rae’s Christmas Album, “A World Christmas, Love Knows No Borders.” It is the first Christmas album from the Muslim world in respect of Christianity, utilizing the services of Christians, Jews, Muslims and other faiths to complete it. It has been promoted internationally to predominantly Muslim audiences. (Shawn Rae live Christmas Performance: http://youtu.be/2wEIvEWBZV4). The Christmas album’s American debut with its new westernized cover is set for the Christmas Season of 2013. For More information: Shawn Rae Video Bio 2013: http://youtu.be/jBt9I3g362Q and at http://www.ShawnRae.com.